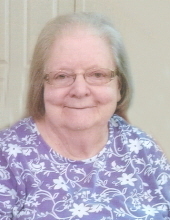 Funeral service for Sue F. Grogg of Cordele will be held at 2:00 p.m. Thursday, January 17, 2019 in the chapel of Rainey Family Funeral Services. Burial will follow in Sunnyside Cemetery. The family will receive friends prior to the service Thursday beginning at 1:00 p.m. in the chapel. Sue, 82, passed away Monday, January 14, 2019 at Crisp Regional Hospital. She was preceded in death by her husband, Dale Franklin Grogg. Born in Lafayette, TN she was the daughter of the late Lloyd W. Fishburn and Deloria Napier Fishburn. Sue was the former office manager of Family Reading Service in Albany and an active member of Cordele First Baptist Church and the Merry Sunday School Class. She is survived by her son and his wife, Richard and Pattie Grogg of Cordele; and three grandchildren, Macy, Alyssa and Raeleigh. Flowers will be accepted but memorial donations to Reflections Hospice, 202 East 4th Avenue, Cordele, GA 31015, the Alzheimer's Foundation,322 8th Avenue, 7th Floor, New York, New York 10001 or Cordele First Baptist Church Legacy Project, 137 Kelly Road, Cordele, GA 31015 would please the family. To plant a tree in memory of Sue F. Grogg, please visit our Tribute Store. "Email Address" would like to share the life celebration of Sue F. Grogg. Click on the "link" to go to share a favorite memory or leave a condolence message for the family.